Mases Hagopian: Two years ago you showed the tech-demo for Zelda. 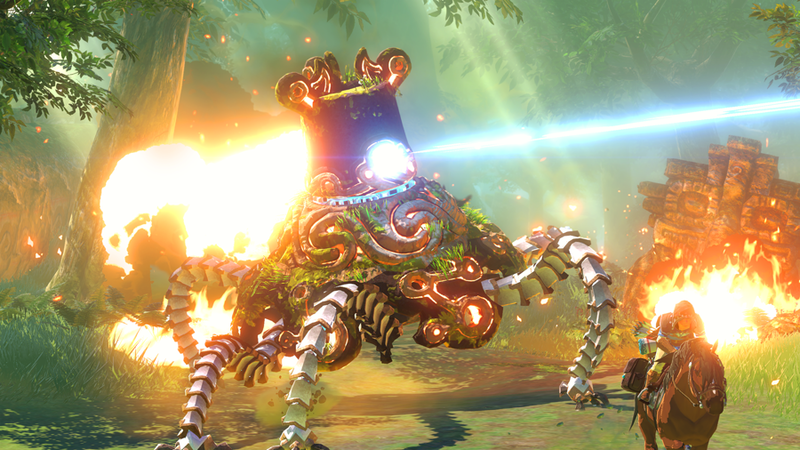 It had more of a Twilight Princess look and Hyrule Warriors has somewhat carried that same design. Twilight Princess though was one of the most traditional games, but it was also one of the most successful games. Does a game's success, in terms of sales numbers, does that affect the type of Zelda game that you personally like to create? I always want to create something unique, and the reason for that is not just because it makes for a more fun game experience once the game is completed, but as a creator it also makes things more interesting for my team and myself. Images and expressions and all of those things, in order to make those unique, we don't start with a plan that is set in stone from the beginning, it's definitely an evolution. We may have a basic concept in the beginning, but as we are working through those concepts, they are going to evolve, they are going to change. So that's how that particular tech demo you saw early on has evolved to what you saw in the trailer.